Unitron – the company changing the future of hearing aids! This Canadian based hearing aid manufacturer has been in the business for over 50 years. 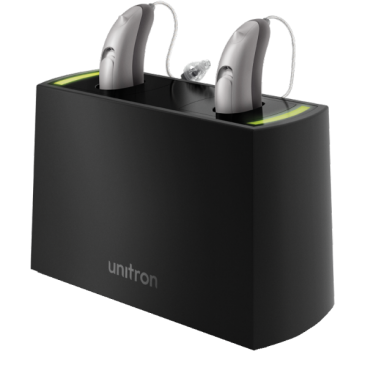 Unitron is a global challenger for excellence in hearing technology with many awards for their sleek device designs. As a member of the Sonova group, Unitron develops its technology around the premise of providing natural sound quality with brilliant speech clarity in noisy surrounds. Your hearing matters to Unitron and they want to give you the most natural listening experience possible with their hearing aids. Available in 5 technology levels to suit all lifestyles and budgets. Stream calls directly from both iPhone and Android. Flex program allows you to upgrade the technology after purchase. Unitron works with the two main styles of hearing aids – the ones that sit in the ear and the models that fit behind the ear. There are a variety of colours to choose from, as well as a range of sizes in their award-winning designed aids. The following styles are available, depending on the model of hearing aid chosen. Discuss with your hearing healthcare professional what is most appropriate for your hearing needs. > In-the-canal (ITC) – A smaller version of above, offering a more discreet hearing aid style. > Completely-in-the Canal (CIC) – Hidden completely in the canal, a barely visible hearing device. > Invisible-in-the-canal (IIC) – As the same suggests, a hearing aid so small it is completely invisible inside the ear. 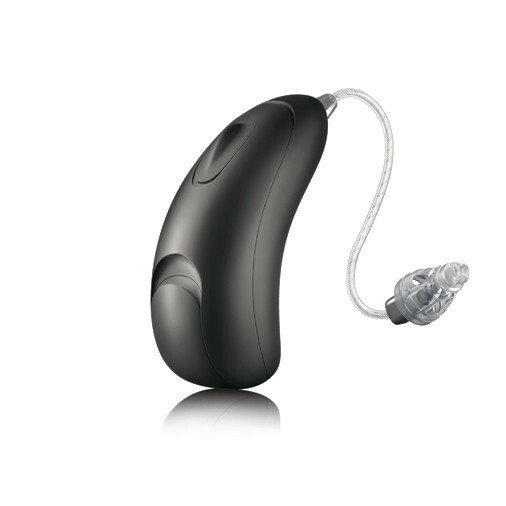 500 – for those with minimal hearing requirements this technology level will improve hearing in quieter situations. 600 – for casual lifestyle requirements, this level will enhance speech intelligibility and provide the wearer with comfortable listening in less complex situations. 700 – this level of technology will improve speech capability (from the front) in background noise and provide realistic sound in quieter environments. 800 – giving directionality for speech from all directions in noisy situations, this technology not only provides realistic sound in quieter environments, it will also provide excellent music quality. Pro – the highest level of technology provides the best directionality for identifying speech in even the most challenging situations. Your hearing aid will be packed with features and is the best option if you lead an active and busy lifestyle. This level will provide zoom, automatic, binaural phone streaming and music features. It will provide clear and natural sound in any given listening environment. A hearing aid that remembers the changes you make. The higher the performance level, the more features you will find on the hearing aid and the more programming ability your hearing professional will have to customise your device to suit your specific needs. Some people have complex hearing needs. If you fall into that range, higher performance levels will provide more solutions, delivering improved hearing across a wider range of settings. Unitron cares about your hearing and what matters to you. Discuss your communication needs with your hearing care professional to help determine the performance level that’s right for you. SpeechPro – localisation can often be tricky for anyone with a hearing loss so SpeechPro aims to optimise speech intelligibility and localisation in the most challenging listening situations. It does this by utilising the Speech Locator, to identify where speech is coming from. It will then zoom in on the person you want to listen to using Speech Focus. It is fast and accurate, allowing you to listen to who you want to, even when communication is happening in noisy environments. Spatial Awareness – so now that your hearing aid has identified, located and zoned in on the speech you want to hear, you want to maintain your natural ability to localise sounds. This technology improves your ability to localise speech and follow changes in dynamic conversations. You can naturally adapt when the direction of speech changes, and continue to be involved, even in the most complex listening situations. SoundNav – this functionality analyses the environment 689 times per second. It gives the listener greater access to all sounds in the environment. Sound Conductor – adjusts for speech in all listening environments automatically while maintaining a natural listening environment. Antishock 2 – only Unitron has a feature like this. Sudden loud sounds (impulse noise) is unsettling and dangerous to our hearing. Antishock 2 will remove the discomfort caused by this type of noise ensuring speech comfort is maintained. Frequency compression – for hearing in the severe to profound range, this technology moves sounds from the inaudible range, to where you will hear them. This gives a fuller sound picture and improves speech understanding. Automatic Adaption Manager – helps new hearing aid users gradually adapt to their hearing aids. Binaural phone – streams the caller’s voice, no matter what phone they are calling from, directly to your hearing aids. Enjoy excellent sound quality directly into both your ears, hands free. Rechargeable – available for the Moxi Fit R, Moxi All and Stride M R, the rechargeable battery will give you a full day’s charge, giving you freedom from batteries. Unitron is proud to be a part of the ‘green’ movement with this rechargeable solution. Log It All Remote Plus app – this is an app for you to download on your smartphone and record your hearing experiences for you to review with hearing healthcare professional. If you are having any issues with the sound settings your HCP will be notified. They can then work on the correct solution for you. Flex – providing personalised solutions with the Flex ecosystem. You can trial a hearing aid in the real world and use the Flex system to share your Patient Ratings and experiences of the hearing device with your hearing care professional. You can purchase the hearing aid directly and be guided by the FLEX platform and your hearing care professional, on how to adjust the aid to meet your needs. The Moxi family of hearing aids are designed to meet all the communication needs you could have. These hearing aids Bluetooth stream to all mobile phones, directing the caller’s voice into both ears, use SoundCore technology and make use of the Log It All app on your smartphone to record your hearing experiences. The Moxi is an award-winning designed RIC and has a few variations in its specific models. The hearing aids utilise the Tempus platform, meaning no matter which hearing aid model you select from the Moxi Family you will hear the benefits of binaural processing and SoundCore features. Research shows 89% of people who try this hearing aid say they hear better in conversations, making this a clear choice for those with active and demanding communication requirements. If you want the experience of incredible speech understanding and remarkable spatial awareness – think Moxi! Read about the latest models to see which one meets your needs. Moxi All – if you want it all! This RIC device has everything you could want in a hearing aid – you’ll hear all conversations, connect to all smartphones and experience ultimate comfort in a hearing aid that puts all your needs first. The Moxi All lives up to its name – it has it all. You can talk on the phone anywhere, hands free, with the phone streaming directly to your hearing aids. You can connect seamlessly to the TV and use the Remote Plus app to adjust your listening parameters in comfort and rate your listening experiences. Connect with your hearing healthcare professional with the app. They can make adjustments via the app if required, without you having to get an appointment at the clinic. With twelve colours to choose from, streaming simplicity and beautiful sound, this hearing aid is yours to use and enjoy in every environment. If you want the freedom of a rechargeable device and the ease of not having to worry about changing batteries the Moxi All R is your choice of hearing aid. This will give you every benefit of the Moxi All, in a rechargeable and environmental friendly option. Which Moxi Tempus aid is right for you? Available in all performance levels, there are a variety of choices with the Moxi Tempus range. Think about your needs and what is important for you when selecting your hearing aid. Discuss what matters to you with your hearing healthcare provider and you will find the right Moxi Tempus aid that meets your requirements. All the features of the Tempus platform are available in the Moxi Now. 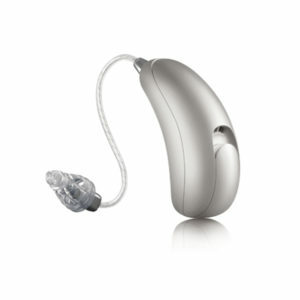 It is a beautifully designed, virtually invisible hearing aid. Utilising the smallest size 10 battery, it is the smallest wireless RIC on the market, standing at just over 20mm. Offering natural sound quality the Moxi Fit gives you manual control in a stylish hearing aid. You can control the volume and select your listening programs. It won’t stream to your phone but comes with the option of a telecoil. 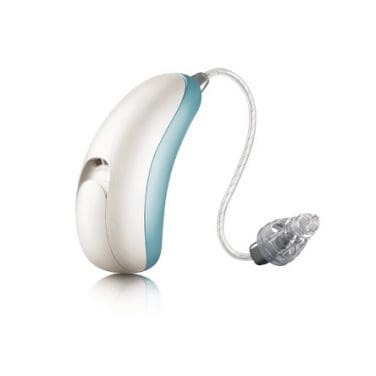 If you want a RIC device and have less demanding lifestyle and communication requirements, choose this hearing aid. 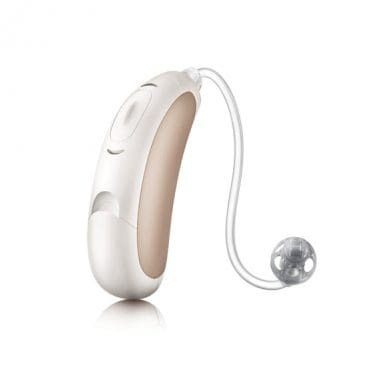 And if you want the freedom of a rechargeable device in this performance range, look no further than the Moxi Tempus Fit R.
This RIC hearing aid uses the 312 sized battery and is suitable for people in any hearing range who want a premium hearing aid. Again utilising the Tempus platform and all the speech enhancement features this comes with, the Moxi Tempus Kiss hearing aid will fluidly adjust to your environment and deliver clear speech in all environments. This hard-wearing device is for people who require a robust hearing aid that will match their listening requirements in an outdoor lifestyle. Available across all performance levels and suitable for most hearing ranges, the Moxi Tempus Dura copes well with water, dust and humidity. As the name suggests, it is a durable device and will give you clear, distortion-free sound quality for speech and music across most listening environments. Stride – is this hearing aid for you? The Stride hearing aids are a great choice for mild to severe hearing ranges. You can choose either rechargeable or fully recyclable batteries. Available as a BTE hearing aid, the Stride family of hearing devices utilise SoundCore technology and binaural phone streaming. These hearing aids come in all five performance levels. For those who want more control over their hearing aid. If you need a durable, moisture resistant hearing aid the Stride P Dura will be an excellent choice. Insera – is this hearing aid for you? The Insera family of ITE hearing aids are for you if you are after a smaller device that fits inside your ear. Fitting most levels of hearing loss, the technology inside Insera uses SoundCore capabilities, including all four of the intelligent listening features. When an impression of your ear is taken for an Insera hearing aid, EarMatch technology creates a 3D model so all of the anatomical parameters, that make your ear unique, are analysed to create the best fit custom-made hearing aid for you. The Insera family includes the following styles: full shell, canal/half shell, mini canal (with directional microphone capabilities if required), CIC (completely-in–the-canal) and the IIC (invisible-in-the-canal). Insera is also available in all five performance levels so you can be assured, no matter your listening requirements, there will be an Insera model available to suit your communication needs.